Investing money in general is a tricky business and while ICOs suffer from quite a scammy reputation huge amounts of capital are being raised. Many coin offerings tend to promise exorbitant growth In value of their issued tokens. And in fact, for many investors ICOs have become a very lucrative investement outlet. Given the current situation of the economy capital needs to be invested instead of being brought to the bank where most places you even lose money instead growing your fortune. ICOs are an extremely great vehicle for investments because they make it easy for both the company raising money as well as for the investors that now have the opportunity to directly invest in a multitude of innovative ideas at a very early stage. 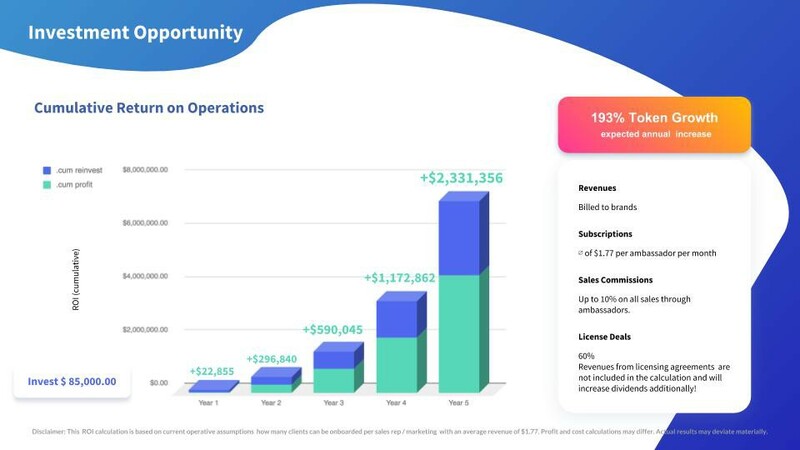 For Hypd we are utilizing the token offering to raise capital in order to accelerate growth while letting our investors / token holders directly benefit from company success. HYPD tokens can be obtained during our Security Token Offering (STO) during the exclusive private pre- and public sale. See below why the HYPD token might be the right investment for you. The HYPD token is an ERC-20 standard dividend paying security token. This means that every token holder is entitled to receive dividends of all Hypd business operations’ profits. It is similar to a share or stock as opposed to utility tokens distributed in most other ICOs. Utility tokens only allow you to use it for a specific service within the DAPP or ecosystem of the issuer. 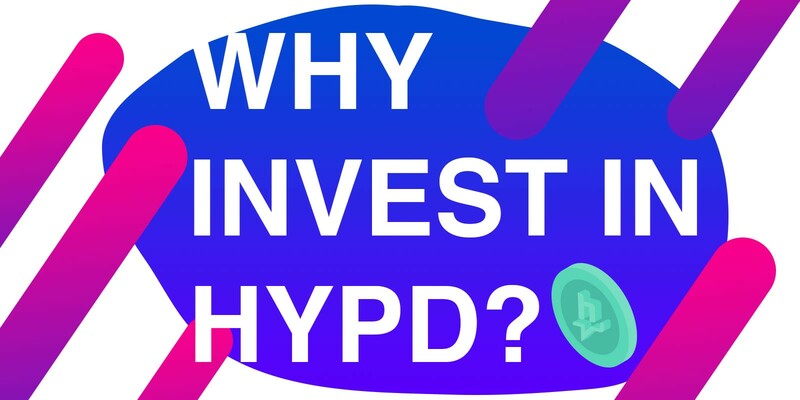 The HYPD security token however is designed specifically to create a passive income stream for its holders and to constantly increase in value. The following token attributes make it an extremely interesting investment opportunity. HYPD tokens will be tradable and are planned to be listed on all major exchanges supporting security tokens. This allows investors to quickly liquefy their investment if needs be. In addition to that, all HYPD tokens can be used to purchase services of the Hypd platform at a discounted rate. The value of the token is backed by the software at a minimum of the regular ICO token value providing a maximum of security for investors. Investors receive dividends based on profits generated by the platform. In contrast to most other ICOs instead of raising money to create an MVP, Hypd already is a working platform that is servicing over 100 customers with an ever-growing data base of 25k ambassadors promoting their favourite brands. Thus the capital raised can be invested almost entirely into growth in order to quickly increase the customer base, revenues and subsequently token value and dividends. As a SAAS there is almost no limit to scalability for the Hypd platform. Hypd charges brands a monthly fee based on the number of ambassadors actively promoting their campaigns as well as commissions on all sales that have been conducted through ambassadors. Ambassadors are being onboarded through the brands resulting in fairly low acquisition costs, as these costs are solely determined by the efforts undertaken to sign the brand for Hypd. Conservatively calculated and disregarding economies of scale, every $ invested into the platform doubles in value annually. A long customer lifetime and platform loyalty therefore allow exponential growth. Disclaimer: This ROI calculation is based on current operative assumptions how many clients can be onboarded per sales rep / marketing with an average revenue of $1.77. Profit and cost calculations may differ. Actual results may deviate materially. Even though every decent marketer knows the benefits of honest recommendations resulting from word-of-mouth marketing, brand ambassador marketing is a novelty that is on the brink of taking over all sorts of markets. Given the untapped potential that lies within the brands’ customer bases and their social networks there is no doubt that marketing budgets spent on ambassadors are going to increase drastically in the near future marking up a large portion of the $270BN annual spendings on digital marketing. There is no better time to invest in word-of-mouth marketing than now. 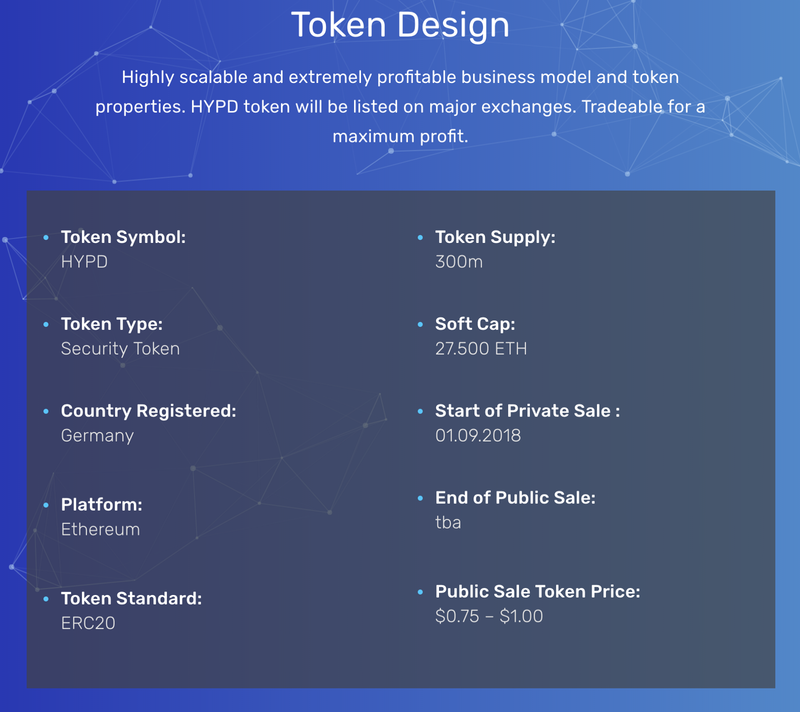 Stay informed about all goings on of the HYPD token offering by joining our official Hypd Announcement and Private Presale Telegram channels. Looking forward to changing the future of marketing with you.